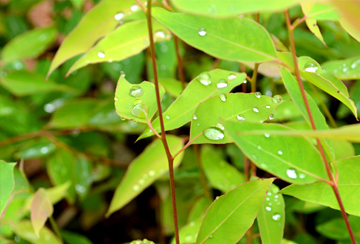 Established in 2008, South African based manufacturer and supplier Margadant Wood cc sources Eucalyptus Wood for export to Europe and the Middle East This is done through tenders with the South African Forestry; through long term contracts with plantation owners and getting involved with local partners, (i.e. 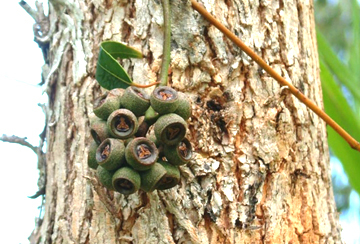 Wood Cloez) in running own plantations. We deliver our end-products exclusively to importers, wholesalers and major international timber merchants. We are investing in processing and stockholding facilities to optimize tree-length material and make logistics efficient. 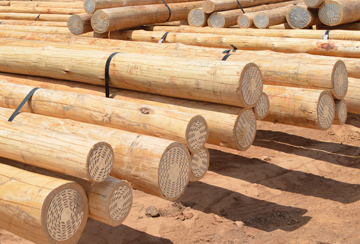 Our supply of Wooden Poles, Telegraph Poles, Transmission Poles, Telephone Poles and Creosoted Wooden Poles extends throughout the world. While our manufacturing facilities have established strong ties with our local communities, we offer the highest standards in administration, communication, safety, logistics and legal assistance. 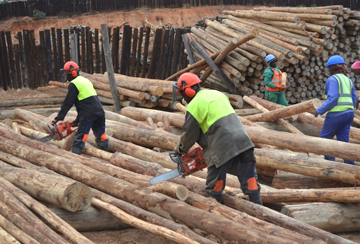 Our long-term business intent is to aid our clients in filling the demand for quality FSC certified timber. We achieve this goal through creative teamwork, clear business structure and a pragmatic mindset. We strive to be a responsible neighbour by engaging with our communities to understand their concerns, communicating with community members about our operations, and supporting the community-based resources and causes that are most important to each individual facility location. © 2019 Margadant Wood | Sitemap | Login | Margadant Wood C.C.